Note: Used to open a cash drawer without the need for a receipt printer. 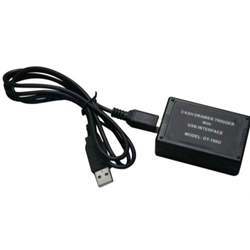 The DT-100U is compact, software-configured external wedge that is installed between a USB port and RJ12. It is powered by USB.